Behavioural Interviewing is all about the interviewer finding out about how you have behaved in various situations in the past. The technique was develeped during the 70’s and about 30 per cent of all organizations use these types of questions to some extent, at all levels of interview. If you are a job searcher then it is vital to prepare for Behavioural Interview Questions. Read on to find some behavioural interview tips. It is very important to get a good understanding of the company you are applying to so that you can better understand what type of candidate they are looking for. Start by visiting the employer’s website for any information about the size of the organization, number of employees, annual turnover, products, services and expertise, and any recent developments that might be worth discussing. If there is no company website, or little information, try visiting the company itself or talking to current employees. Write down a list of the sort of qualities which you expect the vacancy will require. Then think of times when you have demonstrated these qualities successfully ideally within work, but alternatively in education or out of work hobbies. Memorise three or four achievement stories demonstrating your good judgement, teamwork, leadership, initiative etc. Your stories should include the situation which arose, how you or your team dealt with it, and the successful outcome. If the outcome was not successful, try to think of an alternative… or failing all else think of what you learned from the experience and what you would do differently. Whatever type of interview you are attending, make sure you are certain of the date, time and location of the interview. If the location is reasonably close, do a trial run, if you need to purchase travel tickets, buy them in advance. Take a contact name and telephone number in case you are running late for the interview so you can ring ahead and let them know. Select your outfit, which should be smart and practical, and go to bed early. Take a note pad and pen to bed with you to jot down anything you need to remember in the morning so that you will sleep better. Turn off your mobile phone as soon as you enter the building so that you aren’t distracted or interupted during your interview. When asked questions try to be specific and talk about real experiences so that you can provide more details if probed by the interviewer. If possible put figures to your goals and achievements. The interview is not just about the employer finding out about prospective candidates, it’s also for you to get a better picture of the job role and team you might be working with. Make sure you fully understand the responsibilities and limitations of the role and the company. – DO make sure you know the interviewer(s) name. – DO your research about the company and position so that you can understand what the job is likely to entail. – DO make eye contact throughout the interview. – DO try to make your answers clear and understandable. 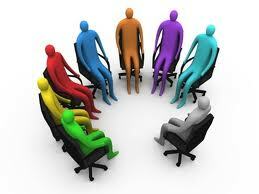 – DO think about your non-verbal communication, eye contact and the way you are sitting. – DO be yourself and be positive. – DO focus on your strengths whether its your great communication, analyitcal abilities, time management etc. – DO be alert and focuesed on the questions. Try not to get too distracted on other topics. – DO add more detail to the items on your CV when asked.